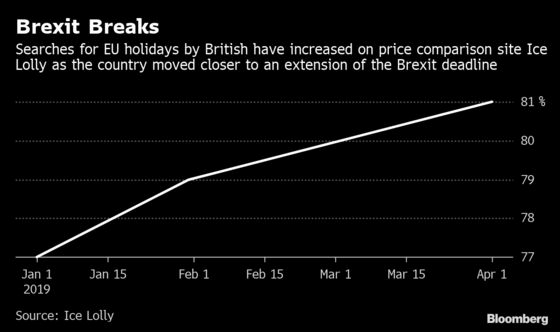 (Bloomberg) -- The decision to postpone the U.K.’s divorce from the European Union has given Brits certainty over at least one thing: their summer vacations. For now, worries about backups at Dover or the economic fallout of a hard Brexit have melted away -- or have been kicked down the road. 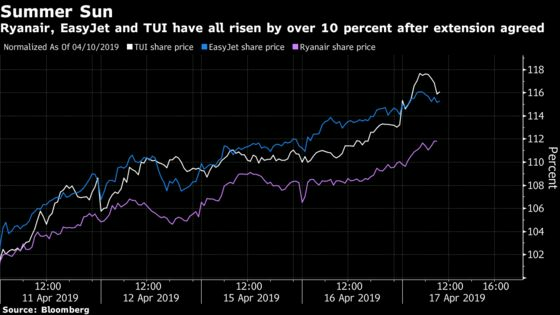 The share prices of EasyJet, Ryanair Holdings Plc and TUI AG have all risen by more than 10 percent since the deadline was moved back to Halloween.